The first certificate of the Cuneo Chamber of Commerce and Industry dates 27th september 1956. It certifies the beginning of Augusto Barel’s activities in the field of glass, mirrors and metal. The busy staff initially was 5 production units, and increased gradually following the development of the company. Barel Augusto and his wife Wilma from “good entrepreneurs” had understood that the sector was experiencing an important growth, therefore, reduced the processing of glass and crystal work and improved the furniture field and in particular in forged iron; Barel brand became synonymous with quality and reliability. They were years of great growth, the company BAREL now specializes in the production of beds in iron and brass, conquered the domestic market thanks to its professionalism. Each region of Italy had its sales representatives who proposed beds and furniture at the most qualified furniture dealers. The Salone del Mobile in Milan increased business visibility, new markets are hatched, France, England, Germany, Greece, Russia and USA. In 2003 Augustus and Wilma Barel left the company guidance in safe hands, the sons Oscar and Igor grew up in the company and used to hearing the scent of iron forged, accrued in the concept of work and the search for beauty meant as design to be proposed to customers. Since early 2012 the company is managed by a single helmsman: Oscar Barel, which relies on the collaboration of a team of qualified professionals, but especially young children Veronica and Rodolfo proud and aware of wanting to further the teaching received from grandparents in the sign of continuity and respect for traditions in working forged iron. 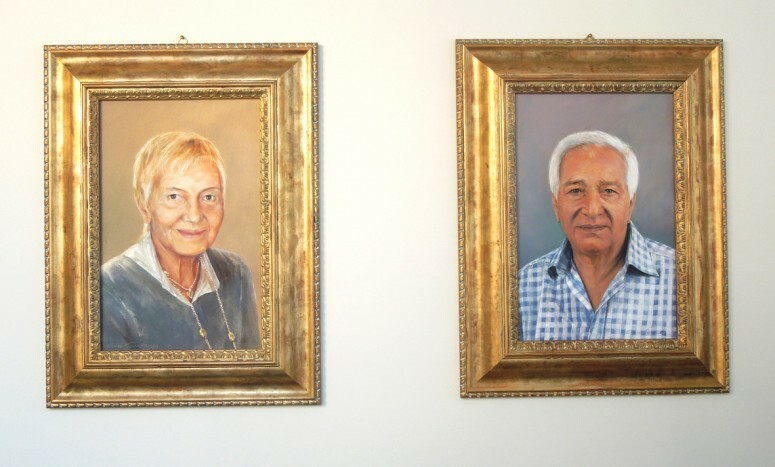 Precisely because of this sense of continuity at the entrance of the company, in the atrium, there are portraits of the founder and his lady, a quiet presence; they are in their company, and oversee the activities, share projects and designs for the future. A reassuring presence.